Take a look at the different casual suit pictures in this slideshow to get an idea of how to incorporate a more relaxed look when wearing a suit. 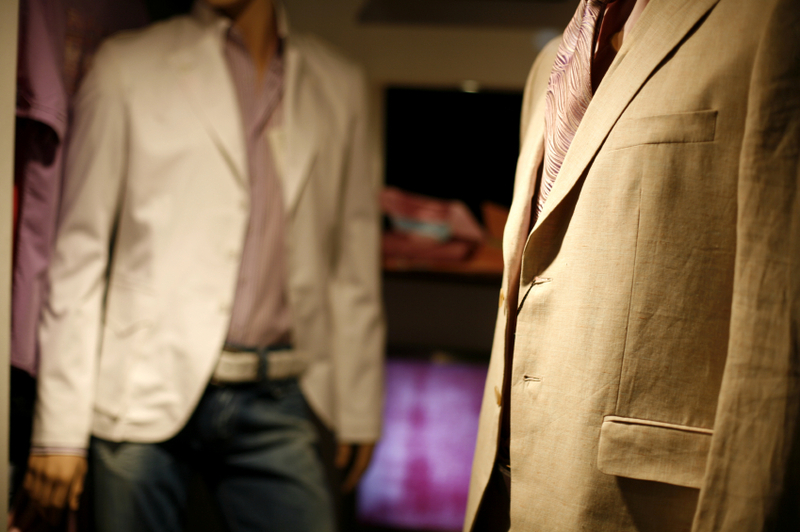 Suits are done in many different styles and in a range of colors and fabrics. They can be worn for almost any occasion and will give you a polished and pulled together look that is sure to turn heads. This gray suit jacket is paired with a crisp white shirt for a look that is casual yet still office appropriate. Try this look for warmer days when you still need a professional look but want to stay cool and comfortable. A casual suit can be worn with almost anything. Try a layered look by wearing a sweater vest over a dress shirt. When you want to feel even more casual, remove your suit jacket and you still have a look that is well put together. Every man needs at least one black suit in his wardrobe. A black suit can be worn numerous ways from dressy to casual. For a relaxed look, skip the tie and wear a dress shirt in a fun print or stripe. A trendy style suit such as this brown one can be the perfect attire for a night out with friends. Wear it with a white shirt and trendy accessories and you are ready to hit the hottest spots in town. White suits are perfect for summer. Whether you are planning on attending a wedding on the beach or an afternoon event, a white suit is just what you need. To look casual, wear your suit with a tee and sandals or dress it up with a bright dress shirt and a pair of loafers. A cotton suit can be worn with a tee for a hassle-free look that's fashionable and stylish. A solid suit can be paired with endless options for a variety of looks from one basic suit. When you don't know what to wear, pull out your suit and a soft tee and go out knowing you are looking your best. Who says that a suit needs to look boring? Wear a soft color suit with a bold colored shirt such as the orange one seen here. You will be sure to turn heads and grab the attention of those around you when you step into the room wearing this bold look. For more great casual suit pictures and pictures of men in suits, check out the Designer suits for men slideshow!